Hello everyone! Yesterday, I spent quite some time learning how to use Adobe Photoshop Elements. When Polyvore shut down a little while ago, I knew I needed to find a new place to create sets. So far, I like it! I watched a lot of videos and read a few blogs to learn how to use the tools, but I am happy with my first set. This one is all about dad. 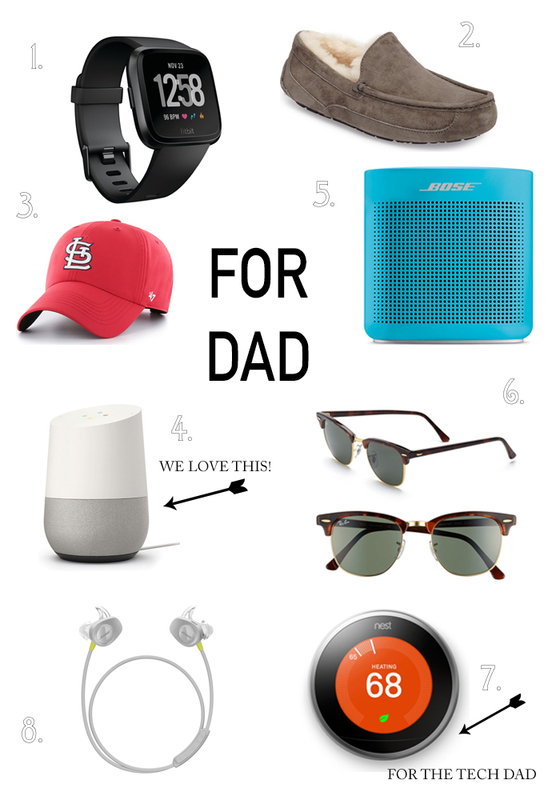 With Father's Day less than two weeks away, I wanted to share some of my favorite picks for dad. I definitely need some ideas for my dad! He's the hardest to shop for! Nice picks dear. You can't go wrong with high quality sunnies. And more and more dads are loving the convenience of smart watches too.